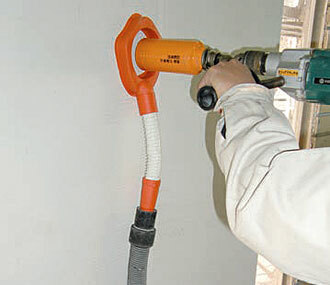 One solution to the dust problem is having a second person hold the hose of vacuum cleaner under a rotating drill. But this is only the second-best solution and for large hole saws it’s far from effective. The dust collector from Miyanaga, one of Japan’s largest masonary drill and hole saw manufacturers, is simply slipped over the hole saw or drill bit. 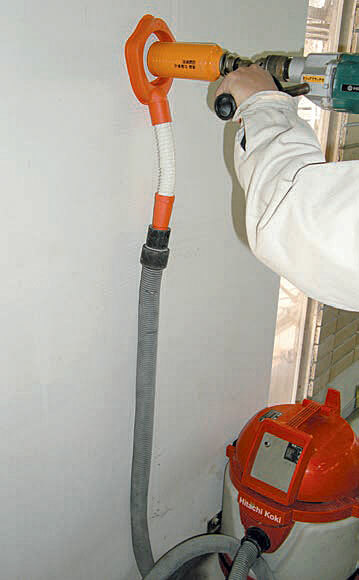 The vacuum created by switching on the vacuum cleaner presses the soft rubber lips of the pads against the wall so that the stone dust has scant opportunity to escape through the sides. Thanks to the rubber disk for cut-outs these dust collectors can be adapted to individual drill bit sizes (PAD 80 and PAD V). 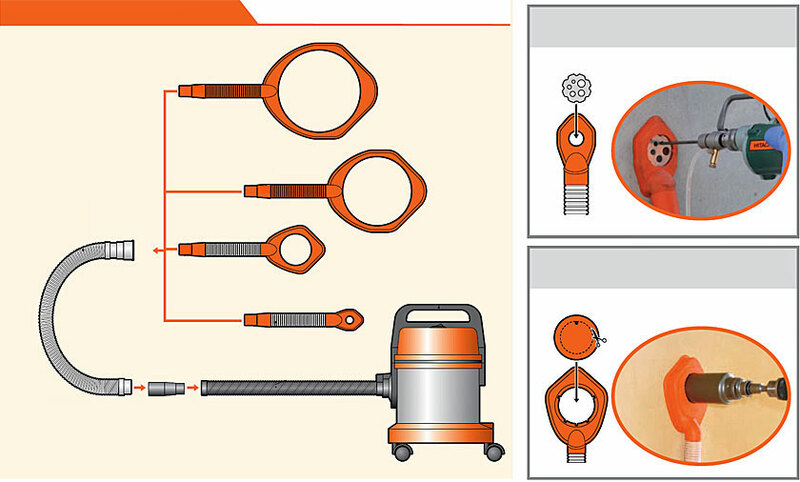 The small dust collector (PAD 38) comes with a metal plate instead of a rubber disk with holes for smaller drill bits. You will find this highly practical if you often have to drill dowel holes 5 mm, 6 mm, 8 mm, 10 mm and 12 mm in diameter. 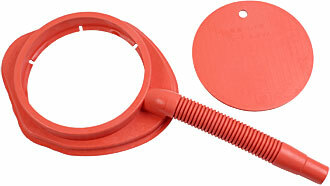 The hose adapter (red) with an outside diameter of 30 mm fits any commercially available vacuum cleaner. There is an additional adapter (black) for other hose sizes up to 38 mm, but as a rule you will find that you don’t need it. The black hose adapter is supplied only with PAD 38 and PAD 80. Dust Collecting PAD 38 for drill bits and hole saws For drill bits and hole saws with a diameter up to 38 mm. This dust collector fitted with a perforated metal plate is especially suitable for use with dowel drill bits 5 mm, 6 mm, 8 mm, 10 mm and 12 mm in diameter. In particular you can use this dust collector for different drill bit sizes without having to swap the metal plate. The holes are slightly bigger in diameter than the drill bits themselves, viz. 5.5 mm, 7 mm, 9 mm, 11 mm and 12 mm. With the metal plate removed this dust collector is suitable for hole saws 38 mm or slightly less in diameter. Dust Collecting PAD 80 for drill bits and hole saws For drill bits and hole saws with a diameter up to 75 mm. The dust collecting PAD 80 comes with a rubber disk for cut-outs. The disk comes precut with a hole 15 mm in diameter. Using a normal cutter, you can increase this hole to up to 80 mm. A circle template (on the inside of the rubber disk) for hole sizes from 20 mm to 80 mm in 10 mm steps is a great help when adapting the system to the drill bit size you are using. You won’t necessarily have to buy an additional dust collector if you regularly work with a variety of drill bit sizes. The rubber disks are available separately and can be swapped in a matter of seconds. 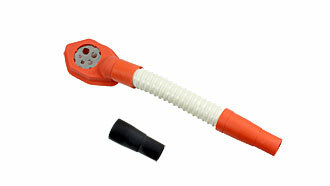 Dust Collecting PAD V for drill bits and hole saws For drill bits and hole saws with a diameter up to 165 mm. 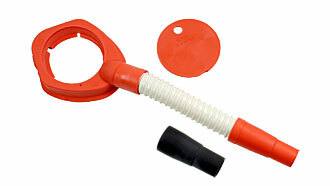 The dust collecting PAD V is supplied with a rubber disk for cut-outs. The disk comes precut with a hole 15 mm in diameter. With a normal cutter you can increase this hole to up to 170 mm. 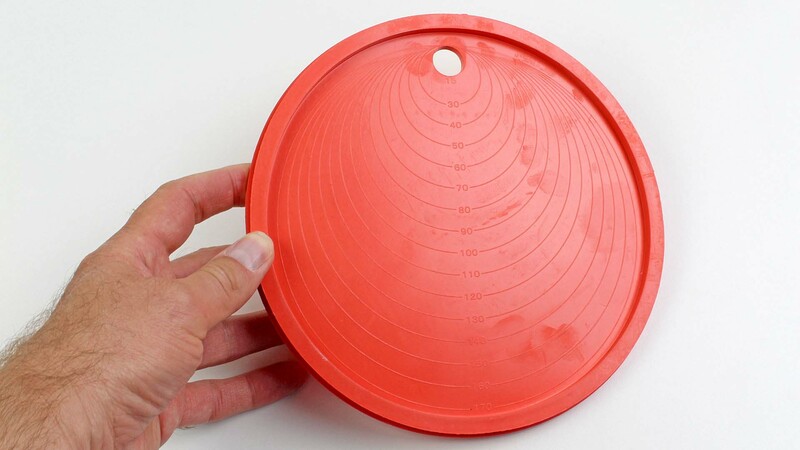 A circle template (on the inside of the rubber disk) for holes sizes from 30 mm to 170 mm in 10 mm steps is a great help when adapting the system to the drill bit size you are using. You won’t necessarily have to buy an additional dust collector if you regularly work with a variety of drill bit sizes. 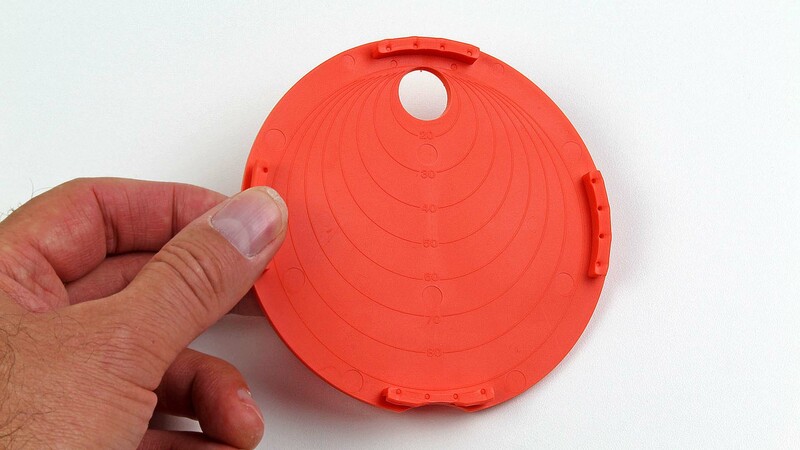 The rubber disks are available separately and can be swapped in a matter of seconds.